Offered exclusively by Hammacher Schlemmer, this is the washable bed cover that protects a bedspread and sheets from pet hair and damage. 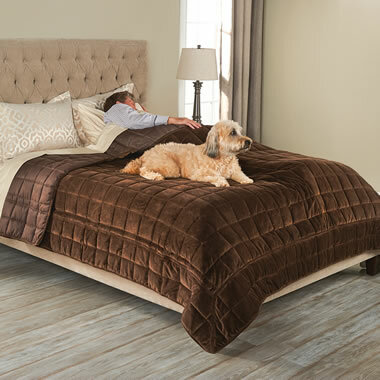 It is made from plush, deep-pile micro-mink polyester and treated to protect against water, oil, and stains to protect bed linens from fur, scratches, moisture, and other pet messes, so owners need not shoo their four-legged friends to the floor or constantly clean their bed linens. The underside’s smooth backing allows pet owners to easily slide it on or off the bed with ease when making the bed or doing laundry. 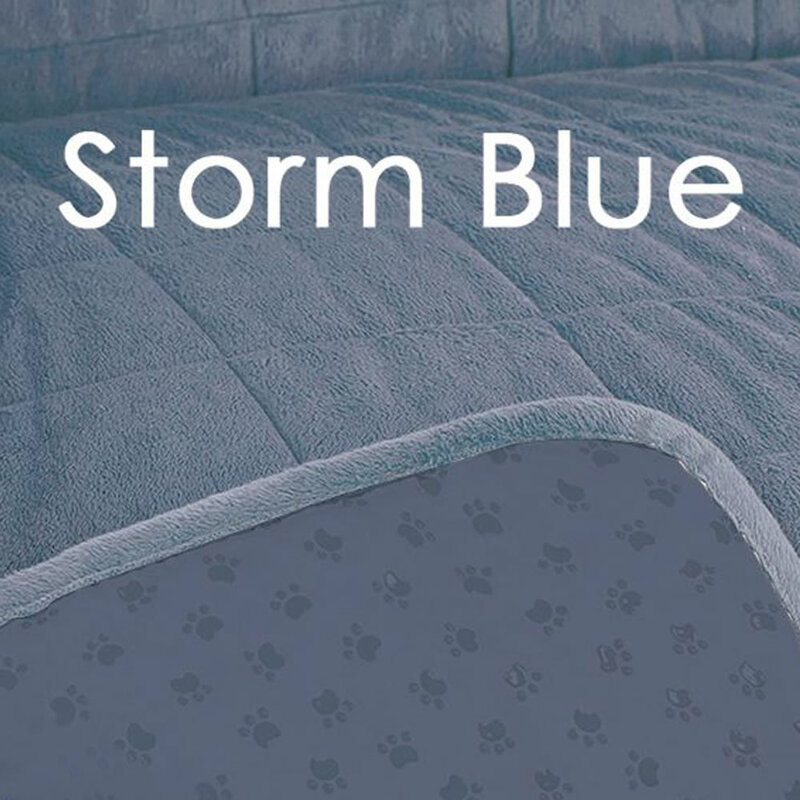 The cover’s quilted sections are padded for comfort and support. Its durable stitching holds up to regular machine washing (line dry). Cement, Chocolate, or Storm Blue. Queen. 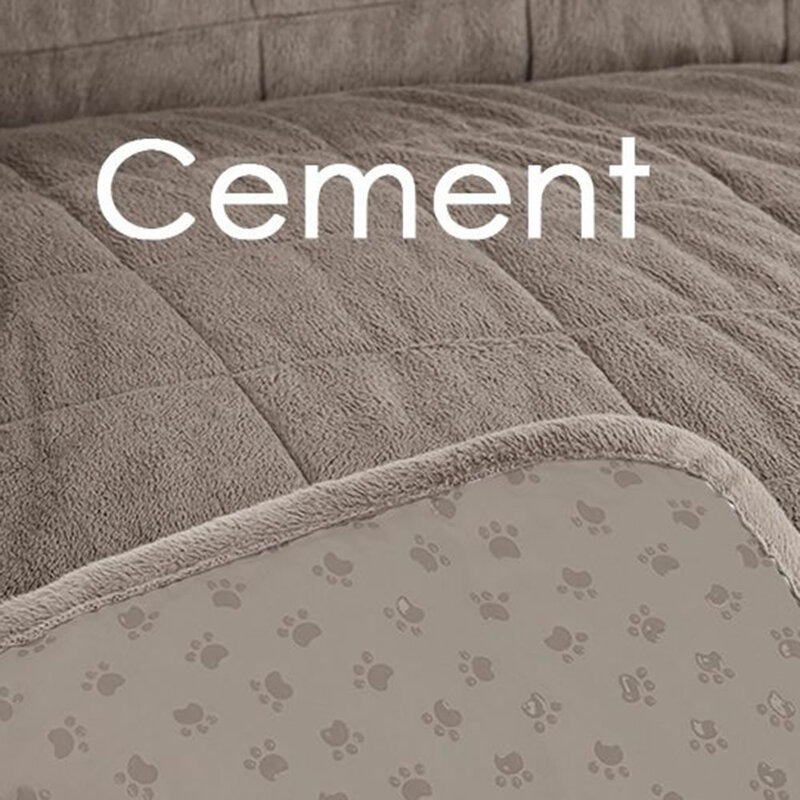 The Bed Protecting Pet Cover comes with The Hammacher Schlemmer Lifetime Guarantee. Items that we sell are guaranteed for their normal life under standard non-commercial use.